Kingston-on-Murray Primary School provides a positive and supportive learning environment for all students from reception to year seven. At Kingston-on-Murray Primary School, students are involved in varied learning opportunities including daily, explicit Literacy and Numeracy blocks of learning within the Echidna (R-2) and Bilby (3-7) Learning Areas. Mrs Natalie Coote (Principal/Teacher) teaches the R-2 class during these times, as well as R-7 Spanish on a Thursday. Mrs Jo Bevan (Full time teacher) teaches the 3-7 class during these times, and teaches R-7 Choir, Art and Integrated Learning in the afternoons. 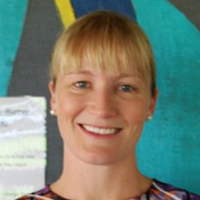 Mrs Melanie Cant (Contract teacher) teaches Literacy, Numeracy, Art and Child Protection in the Echidna room, as well as Health and Physical Education and Spanish across the school. The students are well supported in their learning by SSOs, Kerry Albrecht-Szabo and Sharon Crocker, assisting within the classrooms and facilitating the daily Intervention Program designed to support students 1:1 with their Literacy and Numeracy learning and understanding. Mrs Bronwyn Foote is also part of the staff team as the Administrator and Finance Officer at Kingston-on-Murray. Kingston-on-Murray Primary School prides itself on upholding its four values of RESPECT, RESPONSIBILITY, TEAMWORK and HONESTY. The Governing Council, staff and wider school community work in partnership to ensure that students access a safe and supportive learning environment, where differences are celebrated and achievement is recognised. Individual Learning Plans are developed for each student in collaboration with parents, teachers and the students themselves, ensuring that achievable educational goals are set and reviewed regularly. Kingston-on-Murray Primary School hosts Riverlinx camps for other schools who are interested in being involved in Environmental learning programs through accessing and learning about the River Murray, its extensive water and bird life and experiencing all that the Riverland region has to offer. 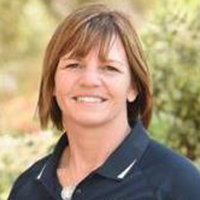 Mrs. Natalie Coote is the Principal at Kingston-on-Murray Primary School. Whilst fulfilling this role, she also teaches the Echidna class (R-2) during their Literacy and Numeracy blocks each morning, and teaches R-7 Spanish on a Thursday. With a background in Special Education, Natalie incorporates different strategies into her teaching to differentiate for individual student learning needs. She shares this knowledge with the team of staff at Kingston-on-Murray, ensuring that individual student learning needs are catered for in a safe and supportive classroom and school environment. Mr Phillip Lawson joined Kingston-on-Murray Primary School at the beginning of 2017. He is in his third year of primary teaching after having spent the last two years at Cadell Primary School. 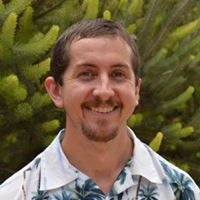 He is the main classroom teacher for the Upper Primary students from Year 4-7 and he also takes R-7 HPE each week. Prior to working as a class teacher Phillip spent time teaching English to adult migrants and working as an SSO and Pastoral Care Worker in a primary school in Adelaide. He is looking forward to the rest of the year here at Kingston-on-Murray Primary School. 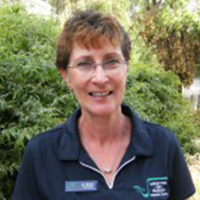 Mrs. Jo Bevan is currently in the role of Specialist Teacher. She facilitates the Spanish lessons via Open Access with Senorita Maggie Dodd. Mrs Bevan also trains the school choir. 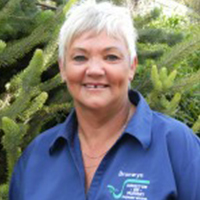 The Riverlinx camps and excursion programme has been run by Mrs Bevan since its inception in 2008. Mrs. Bronwyn Foote has been the School Services Officer (SSO2) at Kingston-on-Murray Primary School since 1987. As well as performing the duties of a finance officer, Mrs. Foote also performs secretarial and clerical duties related to the smooth functioning of the school and helps in the library with cataloguing and covering books. Kerry Albrecht Szabo has been a School Services Officer (SSO1) at Kingston-on-Murray Primary School since the end of 2007. Her main role at the school is to work with students with special needs and to help all students to gain the most out of their education. Kerry runs the Playgroup/Toy Library which is held every Tuesday morning 9-11am and Thursday afternoons 2:15-3:15pm. 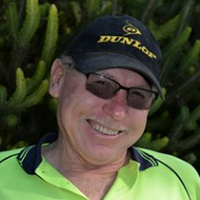 John Scott became the Groundsman at Kingston-on-Murray Primary School in Term 3, 2016. He has years of experience with the Loxton Waikerie District Council and takes a lot of pride in presenting beautiful grounds has a friendly, personable nature.